Have you thought about reselling items you find at yard sales on eBay, but you are not sure what would sell? 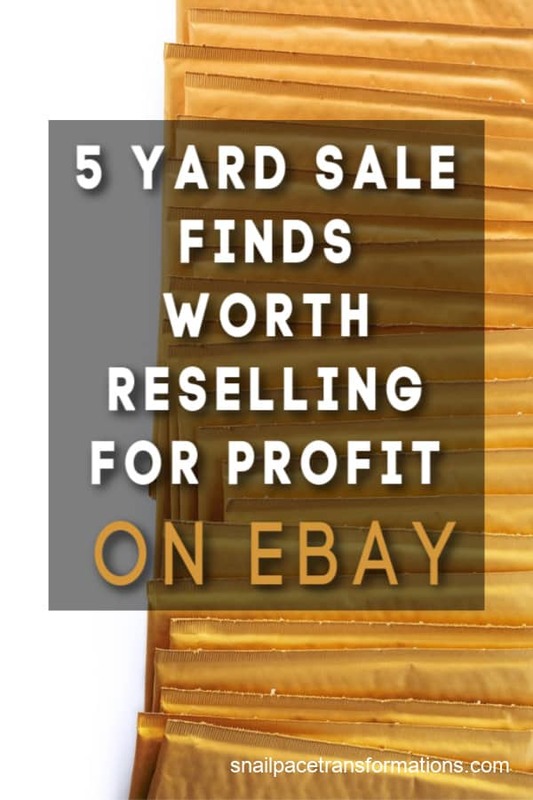 Learn about five items that are generally priced low enough at yard sales to make a profit reselling them on eBay. Back before I started a blog, and even before I renovated three homes with my husband in 4 years, I sold items on eBay on a fairly regular basis to help pay for my children’s activities, or I would save it up and pay for something bigger like a family camping trip. I still do list the odd thing on eBay now and again, but it is usually items that we already own and no longer need. When I was doing eBay more regularly, it was yard sale items that I bought intending to resell for profit. It took me a bit of trial and error to figure out what sold on eBay and what didn’t. In time I began to stick to the five items I am going to mention below. What I find in my area to be low enough priced to resell for profit might not be what you can find in your area. My suggestion is to study eBay completed listings and sold listings for at least a few hours before you head out your first-time yard sale shopping with the intentions of buying things to sell on eBay. I also suggest that you take it slow. Invest perhaps $5 to $10 the first time you buy specifically for reselling and then don’t buy more until you list and sell those items. There is a learning curve to eBay, but thankfully it doesn’t have to be expensive to get into it and start learning. My rule was never to buy an item I couldn’t resell at my next yard sale for the same price — if it didn’t sell like I thought it would on eBay. 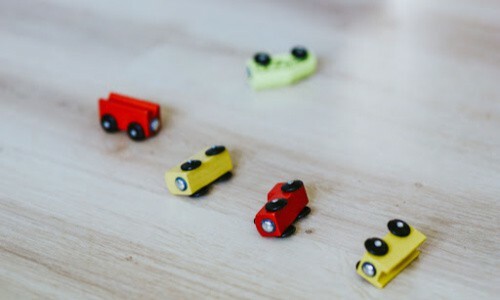 Check out my post: Successfully selling on eBay for a few pointers to get you started on your eBay selling adventures. That said here is my list of 5 items I have bought from yard sales and resold on eBay for profit over and over again, and I am fairly certain most people could have success with reselling these items too. I have always had the best of luck with Children’s books, especially selling about one dozen books of either the same author or the same subject and reading level if non-fiction. Another type that does well are the leveled readers such as Step Into Reading books like this one. If you put around 1 dozen of these leveled readers in a lot on eBay right around the time teachers are stocking their classrooms for fall (July and August), or homeschoolers are getting ready for the new school year they will usually turn a tidy profit, especially if you were able to pick them up for .25 cents each –which is the going rate at yard sale around where I live. Board book sets also do well. Just make sure they are from quality authors and not the ones you find at the dollar store. A few good ones are titles from the Bright and Early Board book series, as well as those by Max Lucado, and Sandra Boynton. I always found I made more per book when I sold them in lots of 4 or more titles at a time. 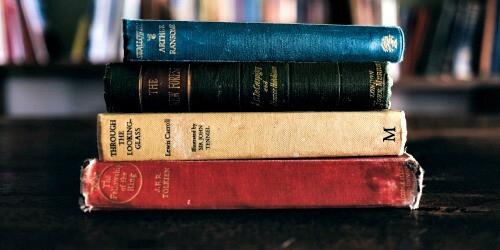 Always make sure the books are free of creases, rips, writing and musty or smokey smells. They should be in like new condition to obtain the most profit. Another great idea that works for bookselling is to browse through what book series are popular currently and then look for those at sales. Don’t buy them unless you have the whole set unless you get a steal of a deal because partial sets do not sell as well and you could end up with books that either won’t sell or sell for very little profit. Maternity clothes are about the only clothes I have ever had luck selling. Look for classic pieces women could wear to work like black skirts and pants, as well as trendy items. Jeans do well too, just make sure they are current style. I always stuck to brands like Old Navy and always managed to sell them. 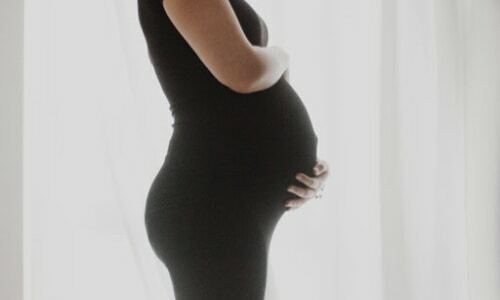 I found that items like dresses sold best separately, however, if you find a bunch of clothes that are all the same size and make into mix and match outfits then selling them as a lot might be best as first-time moms who are starting their maternity wardrobes from scratch will buy them. Again condition is everything you want the clothes to be free of stains and rips and be current styles. I wouldn’t go older than three years if you are taking your first chance at selling homeschooling curriculum. You have to know what is popular and what isn’t before you get into reselling homeschooling curriculum. You run into homeschooling curriculum more often than you would think at yard sales and it is usually undervalued. 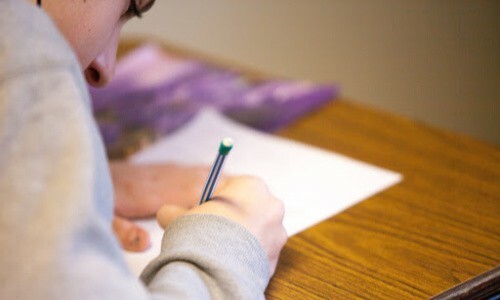 You might want to dig in those piles of old textbooks a bit more closely because that is often where you will find current homeschooling curriculum mixed in. For instance, I once found a family selling two entire years worth of Alpha Omega Lifepac’s and 90% of the booklets were still sealed in their original packages. They had them right beside a bunch of books that were old and outdated and were asking such a low price that I questioned the seller on it. I even went as far as telling her she would get way more for them on eBay, and she said she didn’t want to take the time to do that but I could if I wanted to — and so I paid her every penny she wanted and did just that. The Vintage Little Tikes Doll House Pieces (look up on eBay to view) are hard to find but even if you see only one in a .25 cent bin pick it up because it could be worth between $5 and $20 depending on how rare the piece is. The houses themselves are expensive to ship and therefore usually don’t sell well on eBay, so I usually sold those separately through another avenue of reselling since you often have to buy them with all the pieces at a yard sale. The vintage Fisher Price dollhouse pieces also do well, but you don’t find those at yard sales as readily as you do the vintage Little Tikes doll house pieces, at least not where I live. You will make the most profit by selling these pieces individually as buyers are usually trying to complete sets. Other types of toys that do well are classic toy sets like authentic Brio train pieces and of course Lego, but that deserves a section all on its own. All types of Lego generally sell well, but I had the best of luck selling Duplo figurines.Winnie the Pooh, Dora, Buzz Light year, basically whatever figure is based on a popular children’s movie or TV show generally sells well. Duplo Train tracks and vehicles also do well. 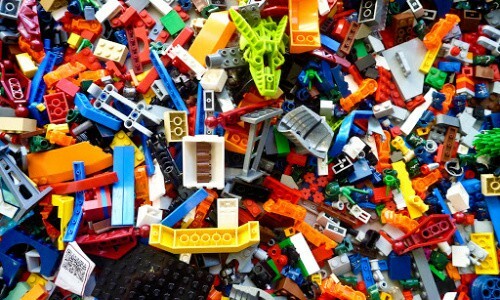 I would often buy a box or two of Lego during one day of yard sale shopping spending perhaps $5 to $10 and then go home and divided into several different eBay auctions, one for the figurines, one for the cars, and all the bricks went into my children’s Lego and Duplo buckets. I can think of only one time when I had an auction for Lego that didn’t sell, and it was a substantial piece (an alligator that picked up blocks when you pushed it along the floor). Lesson learned — stay away from the large Lego items like tables and such, at least for eBay. These five items have turned me a profit time and time again on eBay for very little investment; the best part is if they don’t sell on eBay I can sell them off at my yard sale for what I paid for them, and I am out nothing but some time. Have you ever sold on eBay? If so what has sold well for you? Share in the comments below. I had great luck selling my maternity clothes on eBay. I never thought of looking for more to sell! I’ve got a lot of Sandra Boynton books my boys have outgrown – so excited to try to sell them. Thanks for the tips! Your welcome. Yes maternity clothes sell well. Just remember to look for like new clothes, in current fashion that are priced reasonable. I would say you wouldn’t want to pay more than a few dollars per item. Great tips, thanks! Can I ask though, at what point does it become a business and you need to upgrade your eBay account? I’ve been selling unwanted clothes etc on eBay for years, but I have started buying and upcycling furniture and intend to sell it on eBay as well – someone has told me if I do that then I need to get a business account – is that true? I honestly don’t know. eBay however is usually really helpful to their sellers, I would try digging into it there. Love this! My husband had to attend a 9 week training course last year leaving me with a 1 year old who goes to bed at 6:30pm. I was bored out of my mind so I started hitting the 50% off day at the thrift store and buying Gap and American Eagle Jeans for $3.00 then reselling for $10-20 on eBay. I made about $1,000 in the 9 weeks and then gave the ones that didn’t sell to lucky friends when he came back. I wasn’t quite sure what the vintage Little Tikes Doll House accessories were until I looked them up on eBay, and they are totally the ones my family still owns! I had no idea they were so rare! Glad I know now that I better hang on to them! Thanks! I have been selling on eBay off and on since they first started. All of your tips are good. I always have my phone with me do I can check prices. Children’s VHS tapes. They’re still way easier for kid to “Do it myself” . Wee Sing is always good. I always have had good luck selling my kids clothes, in lots, in good condition. Sometimes you can buy baby clothes for next to nothing at sales, especially the last day. Be bold, ask for a deal if you take it all, or make an offer. I’ve gotten lots got less than 10 cents per item. Do you collect something? I collect vintage sewing items, so I know what buy. Stay away from sewing machines, unless you know what you’re doing. Start slow and make it go. Look into Amazon FBA once your feet are wet. Make it fun. Don’t let it take over your life. I have done this for years too. Personally, that’s one of the reasons I keep my smart phone. If I’m at Goodwill or a yard sale I can do a quick search to find out if something is worth buying. I sell Victoria Secret bras that I find in good shape, Justice clothes for girls & Scott always has people giving him old computers so he tears them apart & we sell it piece by piece. Also, I’ve found that misc cords sell well, as in cords to pug something in (not phone cords) with a big square or rectangle that plugs into the wall. Great suggestions. We have another friend who does great with computer parts too. Thanks this post was VERY helpful! Your welcome and those are some AMAZING finds. I’ve had success with selling anything I’ve posted on Ebay. I’ve had the best success selling brand label clothes and also books, that I find at thrift stores. I also sell on Craigslist and have had great success there selling small, used electric heaters, electric blankets and bedspreads. I’ve sold small electric heaters a lot of winters. Just let it turn real cold and you can sell all you can find. But I’ve mostly sold used furnishings on Craigslist. Coffee tables sell well, along with bookshelves, floor lamps and various tables. Also twin beds sell well but I’m guessing probably any clean bed would sell. I touch things up just a bit and it brings far more. I think it’s having a good eye for what sells. I also have a rule of thumb when selling clothes on Ebay. I never buy something I don’t like and I buy my size, in the event I don’t sell it, I can use it. Thus, no money wasted. These are great tips. Thanks for taking the time to leave them.